This summer we picked a lot of fresh fruits for freezing, I don't like to purchase fruits I could other wise get for free and than I know exactly whats on them or where they came from. 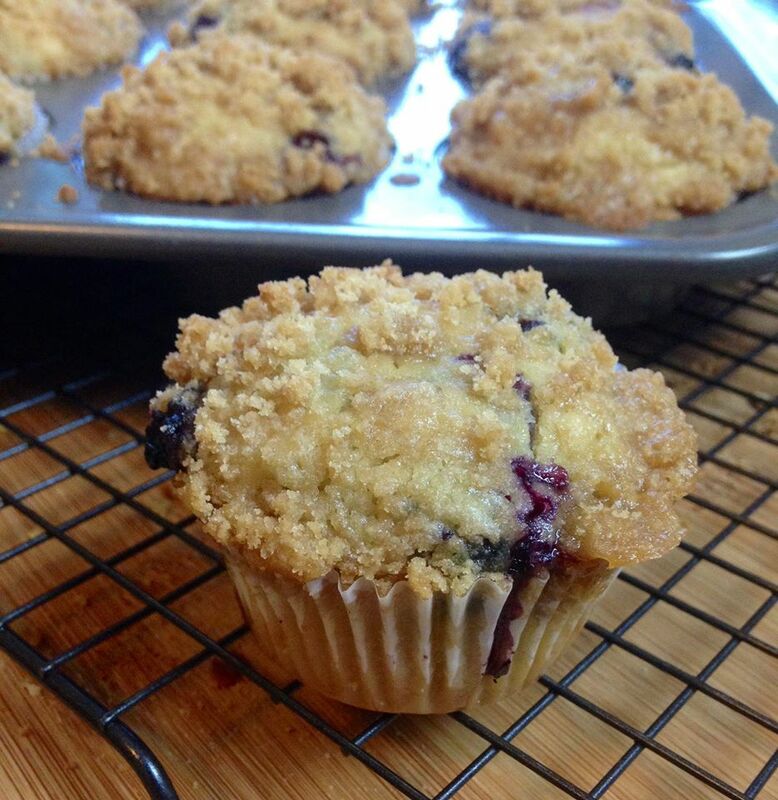 Muffins of any variety are a favorite in our house, I like to have a muffin for breakfast or pack them in lunches. Our daughter will get up at least two hours before school and sneak muffins into her room for breakfast as she is getting ready for school, uuuuhg! 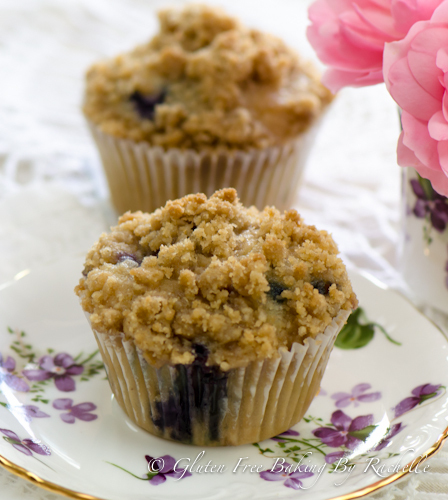 These Gluten Free Blueberry Muffins are a new found addiction for me, I just LOVE the maple and blueberry combination. I asked my husband what he would like for his lunches this week and he said, "How about those muffins" and there you have it muffins is what he got for this week. In a glass measuring cup add So Delicious Coconut Milk and vinegar, set aside for 5 minutes or until curdled. If using frozen blueberries coat with one tablespoon of gf flour, stir to coat. In a medium sized bowl, add flour blend, baking powder, baking soda, sea salt, and sugar. Add water, coconut milk mixture, maple syrup, vegetable oil, and maple extract. Using a muffin pan, fill cups 3/4 of the way full. In a small bowl add, brown sugar, gf flour, vegan butter, and maple syrup. Using a pasty cutter, cut mixture until it resembles small crumbles. Place muffins in a 350 degree oven for 20-22 minutes or until a toothpick is inserted comes out clean. Wow! This was scrumptious! Loved every bit of this muffin as it was very fluffy and had the perfect amount of sweetness.